LATEE'S SUCCESS STORY - BUILD, Inc.
There’s something engaging about Latee. He carries himself with the quiet assurance of a leader, and thinks before he speaks. He’s come a long way in a short time, and appreciates it. A year ago, Latee was in the hospital, recovering from a serious gunshot wound. It was gang-related, and he wasn’t a bystander. Gang-involved since he was 12, his leadership ability first emerged on the streets. No one was surprised when Latee got shot. “I won’t lie – I liked it at first. If I wanted money, I didn’t ask my mom. I just went and got it.”In Austin, that meant selling drugs and a lifestyle of dangerous friends and violent competitors. After multiple suspensions from school, he was barred from BUILD’s after-school programs. Our Intervention team made sure Latee knew he was welcome back, once he was ready. Getting shot was his wakeup call. BUILD was there. He started coming every day, and things began to change. “People at BUILD are doing things with their lives. I get experiences here I’d never have in my life,” such as Bulls games, sports leagues, and the leadership program. 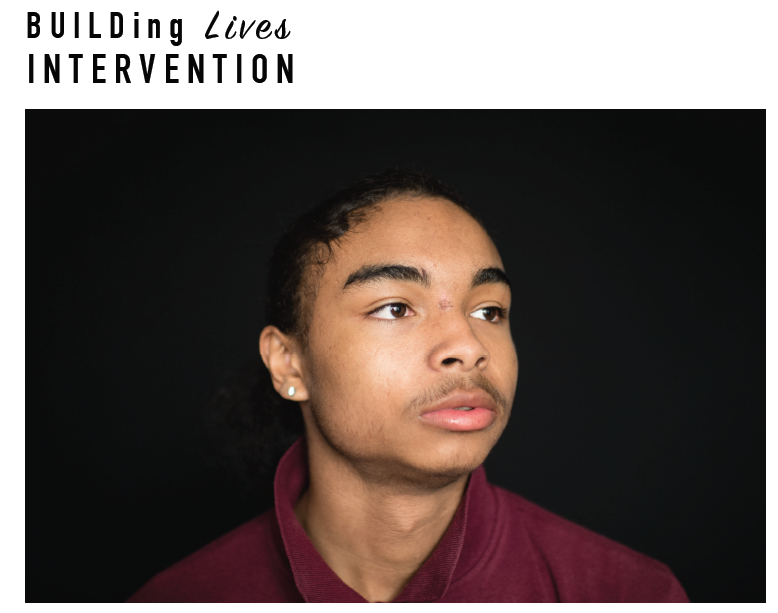 He is building new relationships with other youth, as well as with the Intervention Specialists he used to tune out. “Now I listen. They’ve been through some of the same things I have.” Latee is now a freshman at Marshall High School, working hard to catch up. He used to get D’s and F’s. “Now it’s B’s and C’s. Sometimes an A.” He’s active in the leadership program, and looking forward to our community clean-up. “Austin could be great, if you took away the gangs and violence.” He’s also learning that his story has power, and has appeared in the media several times. He steers clear of his former life, though our staff have noticed that his old friends still see him as an example - a positive one this time. He doesn’t recognize it himself, but Latee’s a natural leader. Give him time. He’s just getting started.